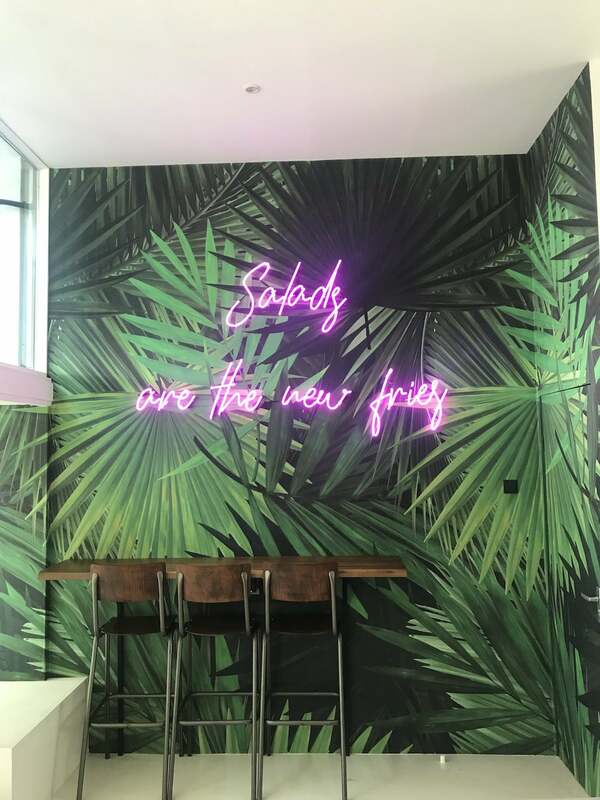 It’s been more than six months since we introduced you to some of the newest hotspots in Rotterdam, even though it seems that each week new hotspots are opening in our city… So, time to catch up! 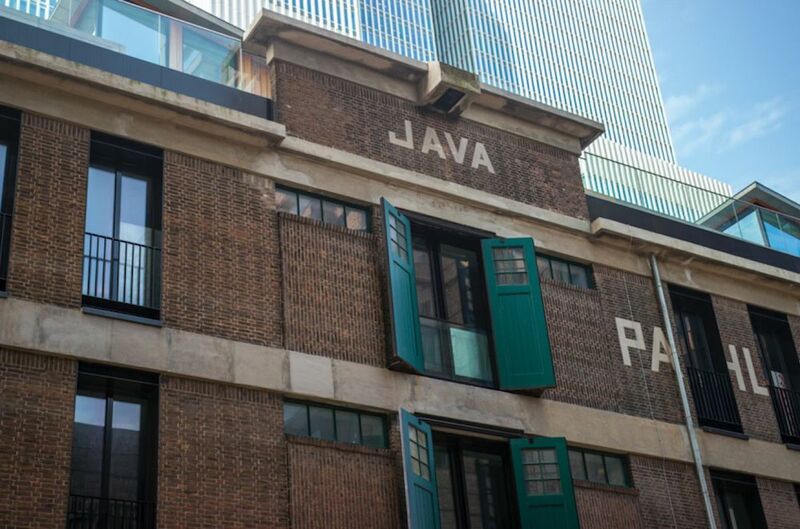 In this article we list 23 new hotspots or hotspots that are opening soon in Rotterdam. The hotspots vary from breakfast spots to restaurants for dinner and from vegan hotspots to places where you can eat a ton of meat. It’s definitely never boring in our city ;). Bon appetite! The girls of the well-known Instagram account @breakfastinrotterdam opened their own breakfast place in Blijdorp in March this year. 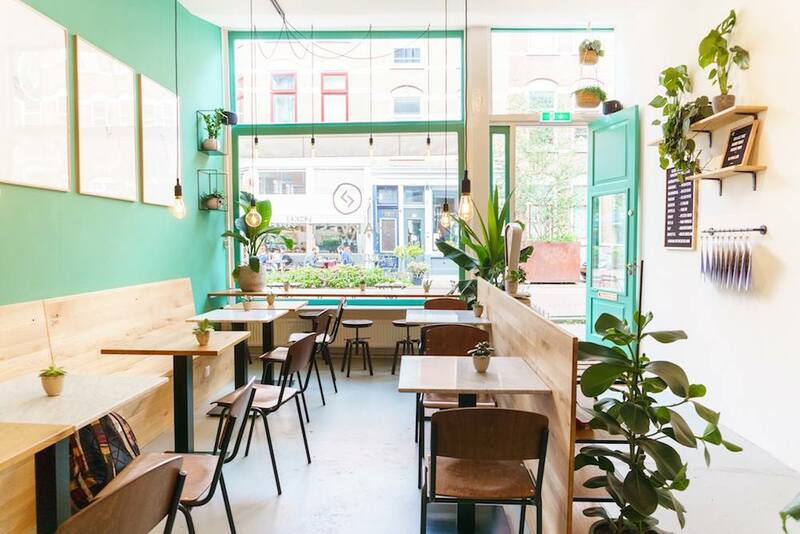 Breakfast in Rotterdam HQ is located in Spullen voor in je Huis (meaning ‘Stuff for in your home’), a second-hand shop full of furniture, plants and other items. Everything in their breakfast shop is for sale. So if you happen to sit on a cute chair or if you love the table, you can take it with you after your delicious breakfast. 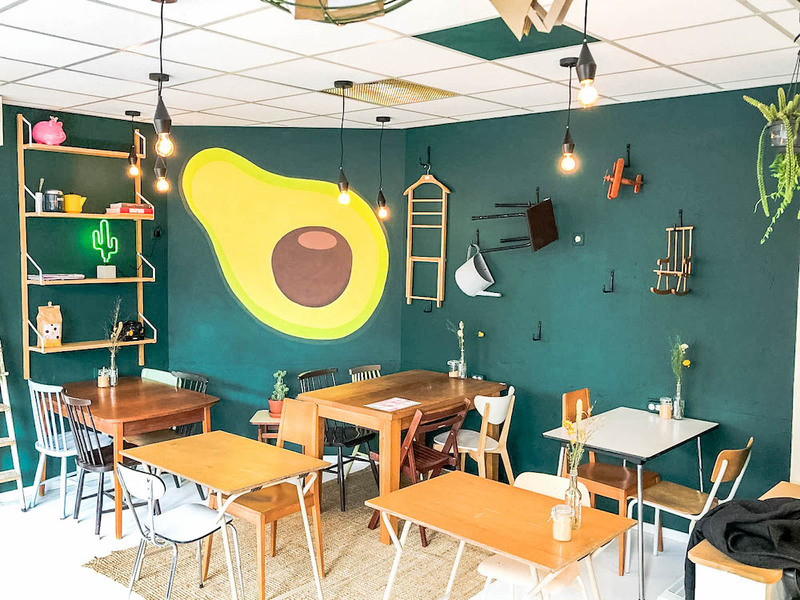 The interior of Breakfast in Rotterdam HQ is very Instagrammable, with cute walls decorated with painted eggs and avocados, but also with items that you can purchase. They even have a pink room full of plants, inspired by #PlantsOnPink. The food itself is also very Instagrammable, with edible flowers and colourful ingredients. And the taste is amazing as well, of course! Try their delicious Avo Smash or the incredible Chia Maddness, our favourites. The Maideh Healthy Bar will open very soon at the Pannekoekstraat in Rotterdam. 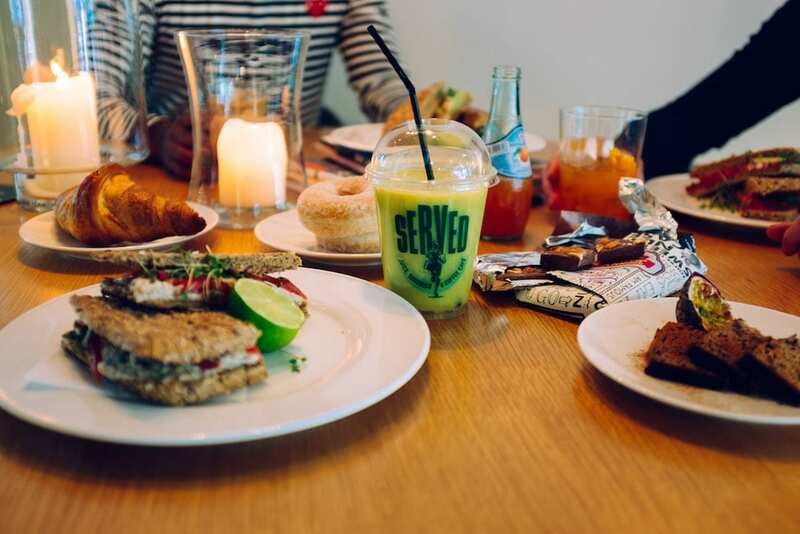 At this hip and happening take-away bar you can get smoothies, healthy sea weed shots, salads and wraps with fresh and seasonal ingredients. According to the owner Maideh Pourmanaf, a dressing can either make or break a salade, that’s why she has worked together with her chef to create new, amazing flavours. So don’t expect any regular salad dressings at Maideh Healthy Bar, but flavours like caviar dressing and saffron dressing. In the winter months you can also expect soup! 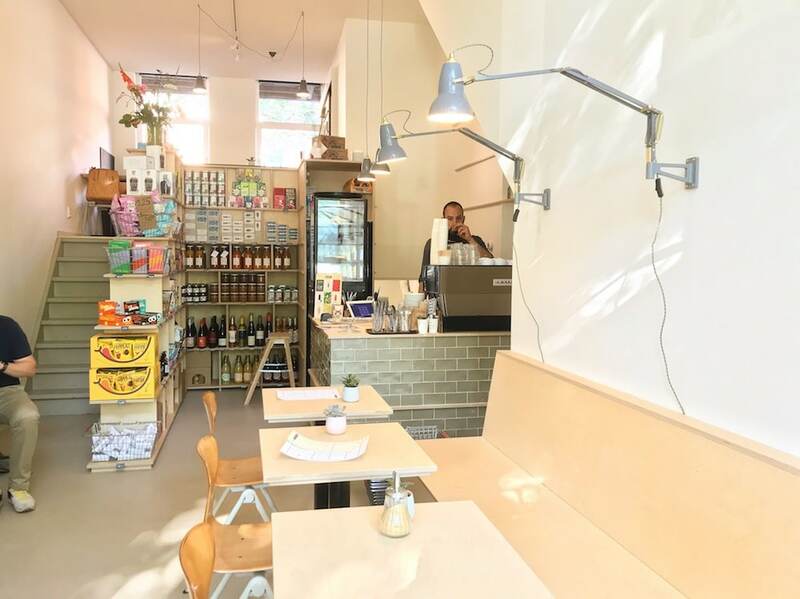 The interior of Maideh Healthy Bar looks nothing like a regular take-away place. Sustainability is also one of the core values of the salad bar. The disposable packaging is biodegradable, such as the cups, boxes and straws. Keep an eye on the Instagram of Maideh Healthy Bar for the opening! Since May you can indulge in the delicious Dudok apple pie right in the middle of the Euromastpark at a newly opened hotspot. Of course we’re talking about the recently opened Dudok In Het Park! It’s hard to miss in The Park, since it’s located in such a beautiful, big monumental building called the Heerenhuys. Build in 1570, this building is known to have been in the hospitality industry. The terrace of Dudok In Het Park is the perfect location to enjoy a sunny day, overlooking the green park. Here you can drink a nice cup of coffee, tea or a refreshing drink and eat something sweet or savoury from the menu! On sunny days Dudok In Het Park extends its opening hours so you can also enjoy dinner on the terrace. BACKYARD is a plant based and vegan friendly restaurant that opened in May this year. It’s the urban backyard right in the center of Rotterdam. 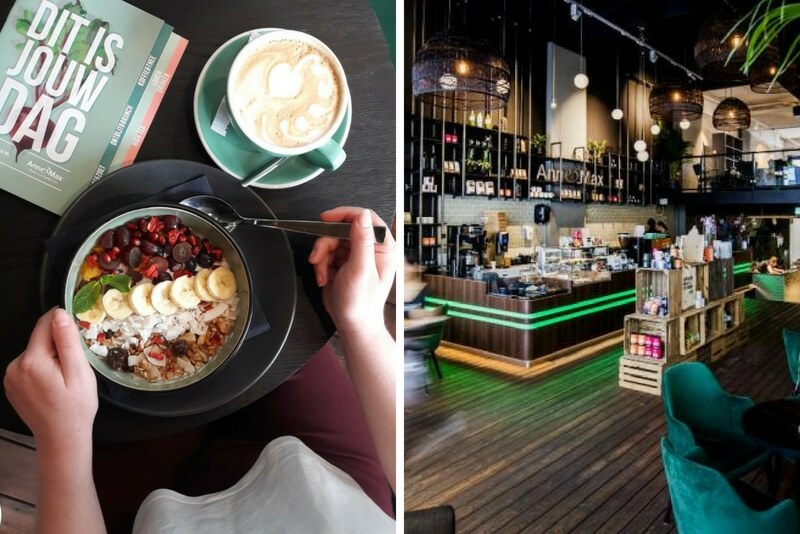 A green oasis where you can go for surprising, down to earth meals, great coffee, local beers and cocktails. Visit BACKYARD for breakfast, lunch, brunch and dinner. The menu is 80% vegan and the concept of the dishes all start with being plant-based: fresh, vegetable ingredients without unnecessary additions. BACKYARD wants it’s guests to learn how tasty and accessible the plant-based kitchen can be. Not only the food is delicious, the interior is great too. The interior has a contrasting mix of industrial and pure nature. 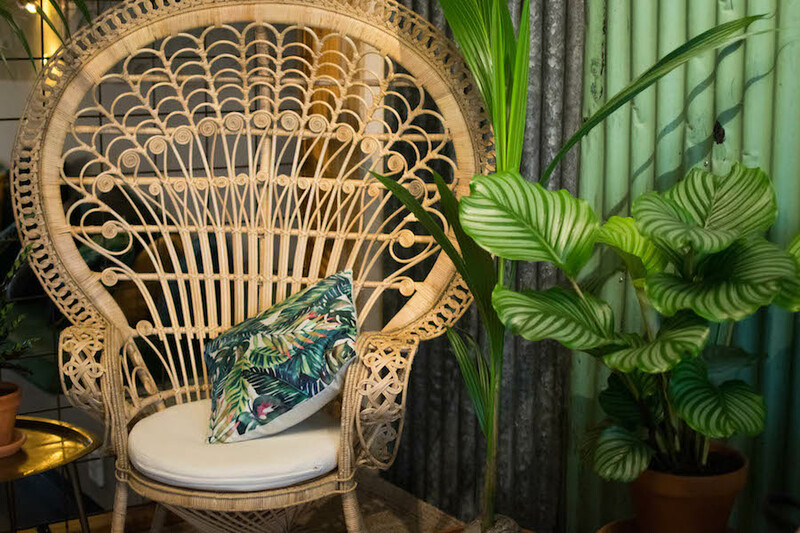 There are corners full of plants, vintage and custom made furniture where you can really sit back, relax and enjoy some conscious, healthy food or drinks! 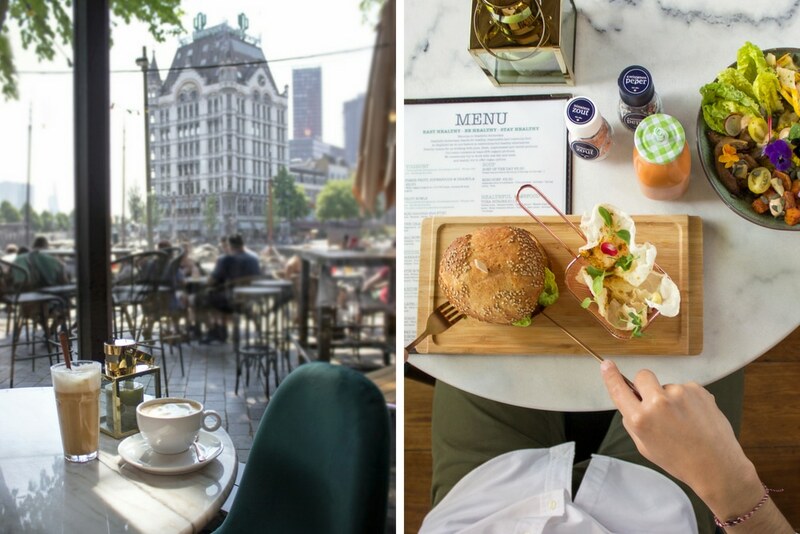 Healthful Rotterdam offers meals that you can enjoy without feeling guilty at all. Perfectly located in the Oude Haven, the restaurant has a vegetarian and vegan menu full of biological products. Everything is freshly made here, with varied and nutritious ingredients. They make healthy options of various dishes, so you don’t have to deny yourself anything. The Oyster Club is the place to go if you love a fancy interior, great drinks, fresh fish and other delicious treats. The place consists out of Le Restaurant, Le Bar, and Le Club. Le Restaurant offers the fresh fish of the day, Fruits de Mer, oysters, lobster, meat, and even sushi and sashimi. At Le Bar you can get a pre-dinner aperitif, small bites, or an after-dinner drink. Lastly, at the very exclusive Le Club, located in the basement of The Oyster Club, members of the club can party in a world of luxury and opulence. Opposite to The Oyster Club you can find Café in the City, a new restaurant by the same owners that turns into a (less exclusive) nightclub on Thursday, Friday and Saturdaynight. 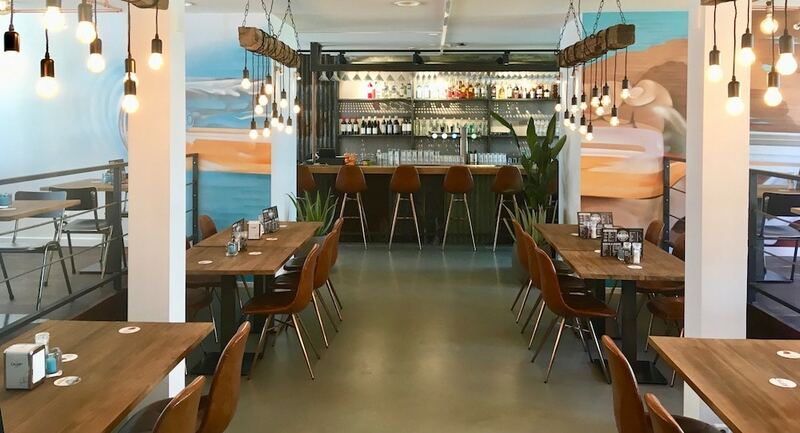 After multiple locations throughout the Netherlands, Anne&Max has also opened in Rotterdam. Here they work with fresh, authentic and healthy products. According to Anne&Max, the origin of the products is very important. That’s why they work with bio, bio-dynamic, fairtrade and homemade products. You can visit Anne&Max in Rotterdam seven days a week for breakfast, coffee, home made cake, a healthy lunch, a delicious high tea and even a high wine. There is really something for everyone! It’s also possible to bring your laptop and use Anne&Max as your office. Or just relax and read a book. Because Anne&Max wants to be a living room in the center of the city, a place where you feel at home every moment of the day. Served is a place where you can either decide to sit down and enjoy your order or take it to go. This new place opened in March and is located conveniently right in the city of Rotterdam at the Coolsingel. Definitely a perfect location for people that are in a rush, but still want a healthy option. At Served you have all day breakfast and lunch. The menu offers juice, coffee, yoghurts and various sandwiches. The juices are all freshly made right on the spot. The fact that it’s a place where you can decide to stay or to go doesn’t diminish the service at Served. The name already says enough ;). 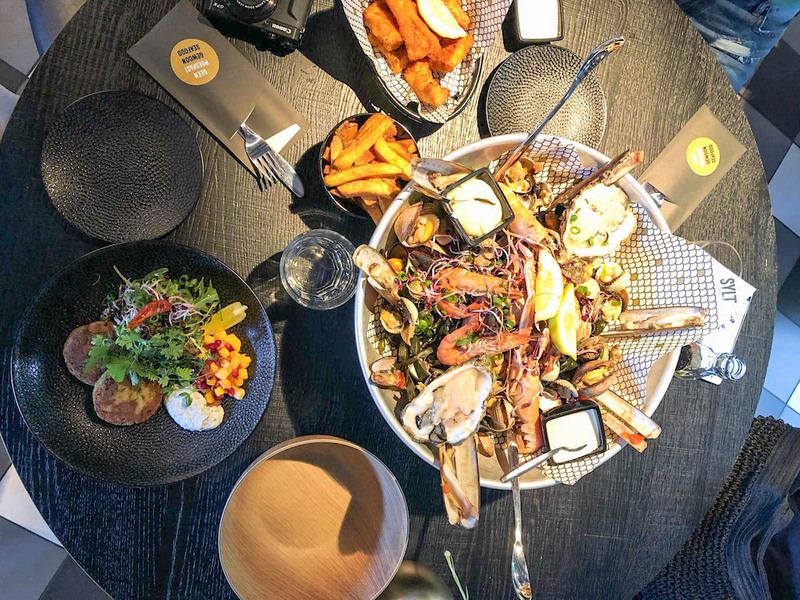 Sylt Seafood Bar – the name already gives it away – offers delicious seafood. On the straightforward menu you can find everything your fish loving heart desires: lobster, mussels, calamari, oysters, kibbeling and more. 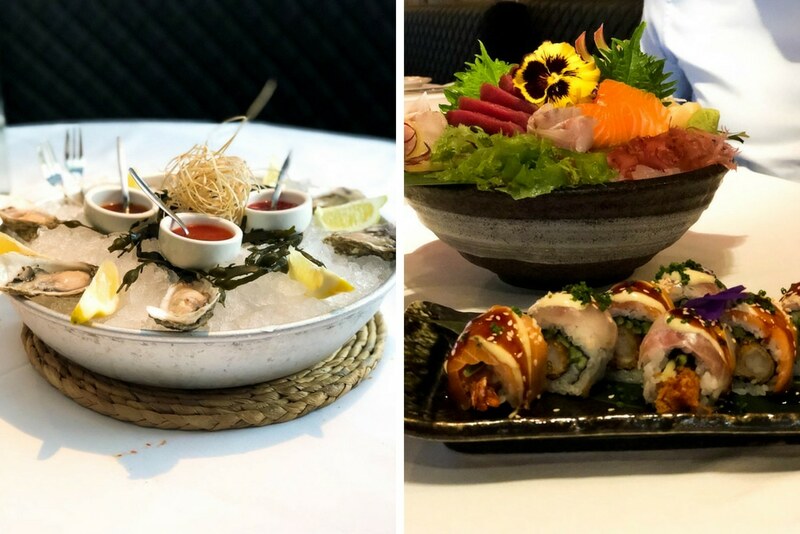 Whether you’re looking for a quick bite to eat or really want to indulge in your meal, it’s all possible at Sylt Seafood Bar. We definitely recommend the latter though, as the high quality fish shouldn’t be eaten in a rush. Plus, the Instagram-worthy interior and the great atmosphere makes you want to stay a little longer. 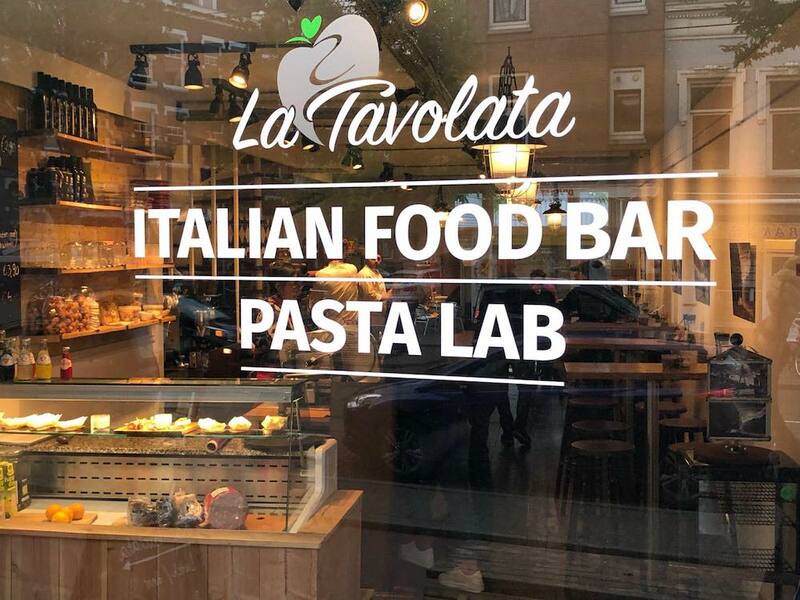 Since June you can visit La Tavolata, an Italian food bar and pasta lab. Visit La Tavalota if you love Italian food (who doesn’t?) and are looking for an affordable option in Rotterdam. On the website of this new Italian restaurant we learn the meaning of La Tavolata: it’s an Italian tradition whereby everyone eats together at a big table. The atmosphere is informal and meals and homemade wine are shared. And at Tavolata in Rotterdam the pastas and pizzas are made the way their nonnas used to. Go to Tavolata for breakfast, lunch and dinner. It’s also possible to order their food online. Fast Flexitarian Food. That’s what you can expect at The Harvest in Rotterdam. The concept behind The Harvest is easy: they serve local food that is available in that season. Every meal at The Harvest contains proteins, carbohydrates, healthy fats and vitamins and minerals. The love for seasonal products and the passion for nutritious food laid the foundation for The Harvest. Choose your meal in three simple steps. First the basis: a meal with slow carbs. Then, two dishes that contain seasonal vegetables. Lastly, a dish that is a source of protein, such as meat or a vegetarian option. So, healthy, conscious and sustainable food! And tasty, of course ;). Kate in Katendrecht! At this Urban Market & Café you can get food, drinks and various products. It’s a place where retail and food get together. When the sun is shining you can sit down at their terrace or choose to sit inside and enjoy a delicious breakfast, coffee and lunch. At the Market part of Kate, you can purchase wine, peanut butter and other food products, but also Susan Bijl bags and soap. Officially, De Engel in Rotterdam isn’t really new, since they were located in the Markthal for three years. But this year they moved to a new location: Gooilandsingel in front of Zuidplein. Here you can get a wide selection from the Balkan cuisine with their speciality being meat, beers and wines. Their menu offers cold and warm sandwiches, various salads, bites and specialties of the house. Next to being able to visit their venue, it’s also possible to hire them for catering. 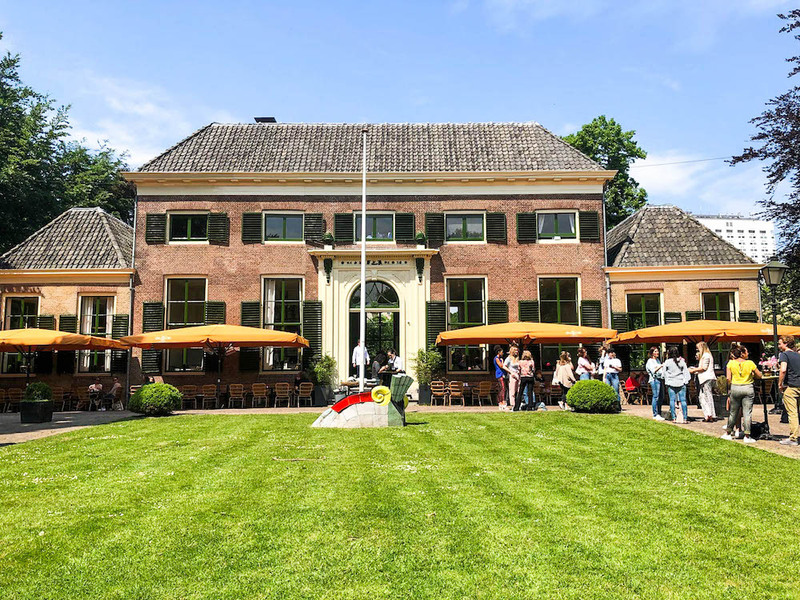 The chef of De Engel is even responsible for catering for embassies and ministries in the Netherlands and abroad, so that does sound promising! After four years the first indoor food market in the Netherlands is expanding. The first location was located in Amsterdam, but now De Foodhallen will also open its doors in Rotterdam. Very soon the indoor food market will open in the monumental Pakhuis Meestern on the Kop van Zuid. According to the founder of the Foodhallen, the indoor market will distinguish itself from other indoor food markets in Rotterdam in quality, offerings and design. The focus will also be entirely on the food service industry, unlike other successful food markets in Rotterdam. We are definitely curious! 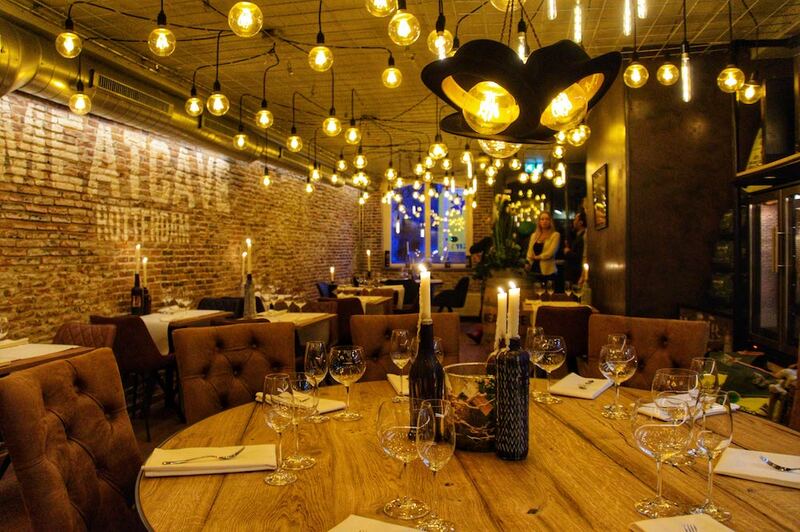 The owner of Lebbink and van Eijk has opened a new restaurant in Hillegersberg: Three. Its name refers to the lucky number three in Japan. This new Japan inspired restaurant will focus on Asian dishes, sushi and robatayaki. The last is a type of grill, where the cooking is done at low temperatures on charcoal. Both the food and the interior at Three is beautiful. It’s a perfect setting to celebrate a special occasion, or if you just feel like having a nice night out. You might already know Nooch from their other location in Amsterdam. Fortunately, they have also opened a new restaurant in Rotterdam! This Asian cuisine restaurant offers lunch and dinner and delicately fuses modern Vietnamese, Chinese, Indonesian and Thai kitchens. 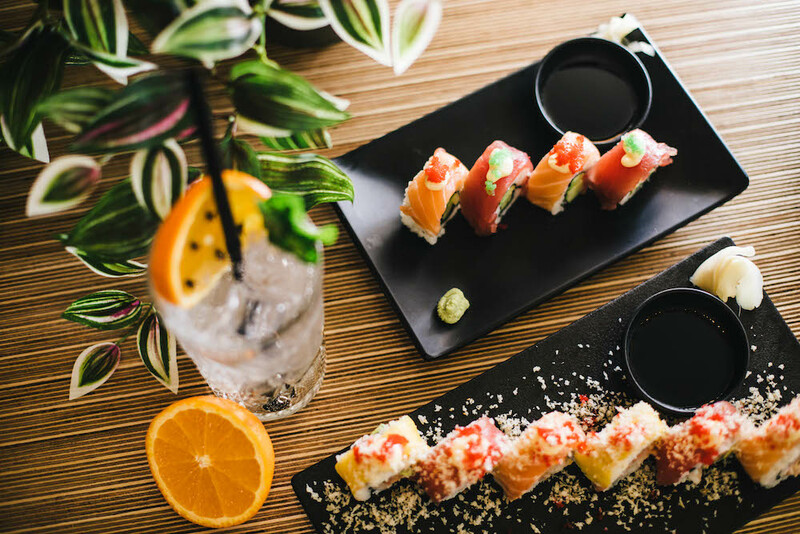 Their extensive menu includes bites, sushi & sashimi, salads, soups, noodles, rice and delicious desserts. It’s all about sharing at Nooch, as they create authentic Asian ‘family’ meals. This way you can taste a little bit of everything, and mix and share the various dishes. 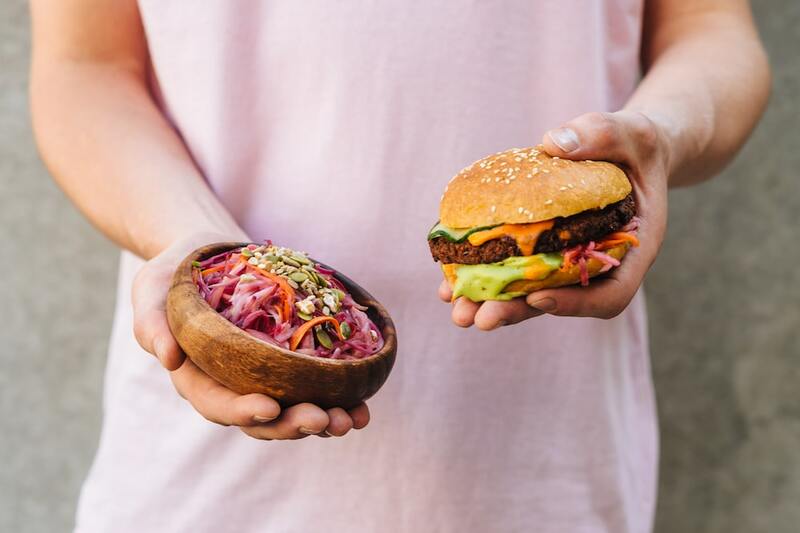 Jack Bean, a 100% plant-based fast food restaurant, recently opened in Rotterdam. Because why can’t fast food be good food for you and the planet? Why can’t it be tasty, convenient and affordable? According to the website of Jack Bean, these were the questions that set them to develop Jack Bean, a sustainable food company that aims to inspire people to eat more plants. Jack bean introduces Fast cuisine: quick, cheap, healthy and plant-based food. Their colourful and varied menu includes sandwiches such as the Garden Bean Falafel and the Roasted Eggplant Sandwich, bowls like the Mexican Chili, and various side dishes such as the Mac & Cheezy. Yum! For those that prefer meat with their meals: the new Meatcave opened up in Rotterdam. At this restaurant there is no menu, the experts that work here create a culinary experience for you with their speciality: meat. According to Meatcave they work exclusively with responsible products and consider animal welfare to be very important. They consider meat a part of a balanced diet and offer its guests to do this in a correct and above all tasty way. Get funky homemade hotdogs, freakalicious milkshakes, banger burges and tasty side dishes. 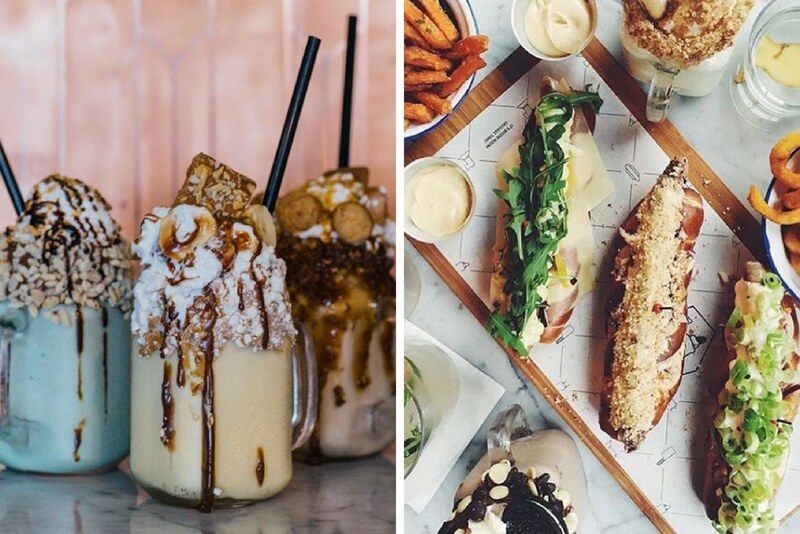 Combine these treats with cocktails, homemade lemonades, draft beers and selected wines, all at Bulls and Dogs! After two shops in Amsterdam, Bulls and Dogs opened a hotdog bar at the Oostzeedijk in Rotterdam. The speciality sausages of Bulls and Dogs come from a local butcher in Amsterdam and are available in a variety of flavoured on a crunchy German pretzel bun with three colour cabbage and homemade sauce and toppings. Do you deserve a cheat day?! Then you should definitely head over to Belicio-Cheatday to indulge in something extremely sweet and extremely high in calories. 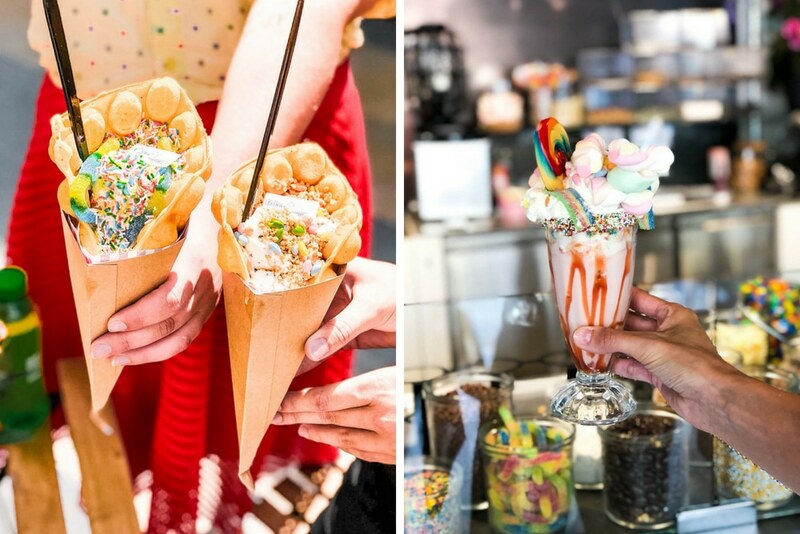 Here they serve everything a sweet tooth wants, from ice cream and cookiedough to wafels and ice donuts. Belicio first started as a ice cream truck, and since May this year they also opened at the Koopgoot in Rotterdam. What are you waiting for? You deserve it. Roffa RestoBar opened up a second location in Rotterdam this past May (the first one being Roffa Streetfoodbar in the Scheepvaartskwartier). It’s a relaxed resto-bbq bar that serves all day brunch, lunch, dinner and drinks. It’s all about barbecue at Roffa RestoBar, and not only with the type of food you can get, also the vibe that comes with a barbecue. Festive, comfortable and mostly very social! Shared dining and drinking is therefore very popular at their restaurant. Try out their speciality and share the Roffa Meat Platter with a selection of smoked meats. Or if you don’t eat meat, they also have vegetarian options, such as the Pulled Mushroom Sandwich or Roffa Nacho’s. The owners of Roffa Restobar are also opening a new location in the Foodhallen, so keep your eyes peeled. 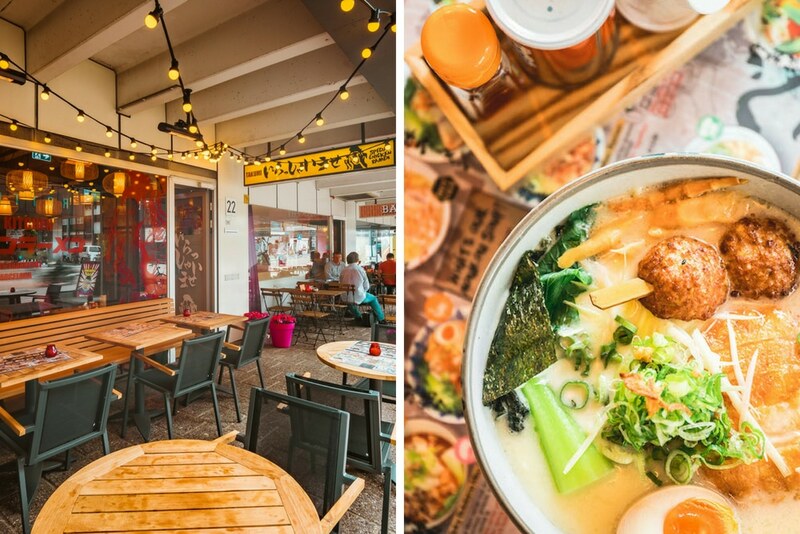 Close to the other Takumi at the West-kruiskade, Takumi Sapporo Ramen Kitchen has opened its doors. What’s the difference then? Well, Takumi Sapporo Ramen Kitchen specialises in ramen with chicken based broth! Their menu is full of options, with options like Teriyaki Miso Ramen which is miso ramen with teriyaki chicken, vegetables, spring onions, bamboo and shoyu tamago. But Sapporo also offers two vegetarian options: the Veggie Miso Ramen and the Spicy Veggie Ramen! 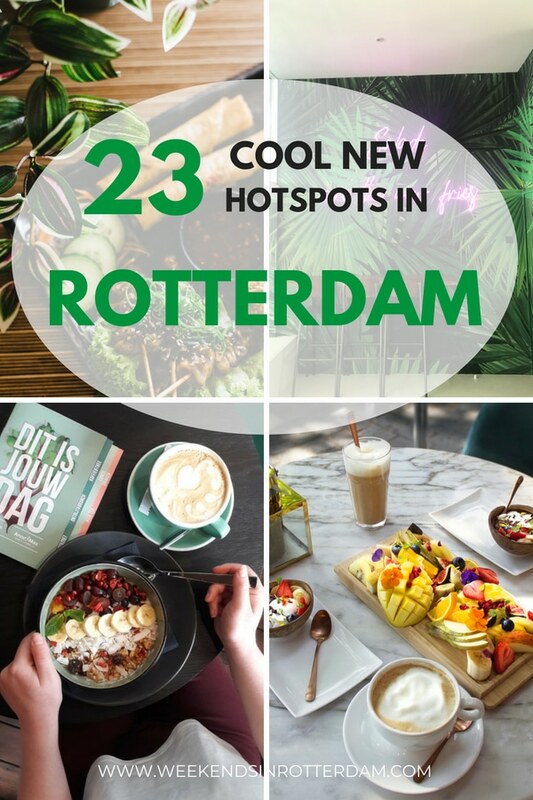 Another 23 new hotspots in Rotterdam! It’s a bit hard to keep up, so let us know if we missed a very cool, new hotspot. Also, please contact us if you’re opening up a new hotspot in Rotterdam, as we would love to take a look for the next edition of New in Town. Be sure to follow us on Instagram to get inspiration for your visit in Rotterdam with the coolest hotspots, events and more!